Organisms along with some variations of yeast help our bodies to survive are called probiotics. You can find probiotics mainly in fermented foods with active live cultures like yogurt, pickles, and sauerkraut. If individuals are not comfortable with that or would like to get their probiotics in a more portable way, there are probiotic supplements in the forms of capsules, liquid, and chewy tablets. Believe it or not, our bodies contain more bacterial cells than human cells. These organisms along with some variations of yeast help our bodies to survive, and are called probiotics. Most people consider bacteria and yeast to be a danger to our health. The digestive system houses more than 500 different types of bacteria each giving us a certain natural advantage. We would not be able to survive without these microorganisms. There are theories that probiotics are essential in regulating suitable intestinal function and digestion. You can find probiotics mainly in fermented foods with active live cultures like yogurt, pickles, and sauerkraut. If individuals are not comfortable with that or would like to get their probiotics in a more portable way, there are probiotic supplements in the forms of capsules, liquid, and chewy tablets. There have been studies that showed that specific strains of probiotics have the capacity of treating diarrhea and inflammation of the stomach and small intestine. The Journal of Pediatrics published a study that showed that Lactobacillus is a safe and effective way of treating children with infectious diarrhea. Women who are interested in improving brain health should try probiotics. A study showed that the brain function of women changes while in a resting state, as well as during emotion-recognition task when ingesting probiotics. The researchers found that during the emotional reactivity task, individuals who consumed the probiotic yogurt experienced less activity in the areas of the brain that processes internal body sensations. They are next looking into how probiotics affect mood symptoms and anxiety. Treating and preventing eczema linked with cow’s milk allergy. Preventing the inflammation of the intestines following an intestinal surgery. Dash, S. K., Spreen, A. N., & Ley, B. M. (1999). Health benefits of probiotics. Bl Publications. Chapman, C. M. C., Gibson, G. R., & Rowland, I. (2011). 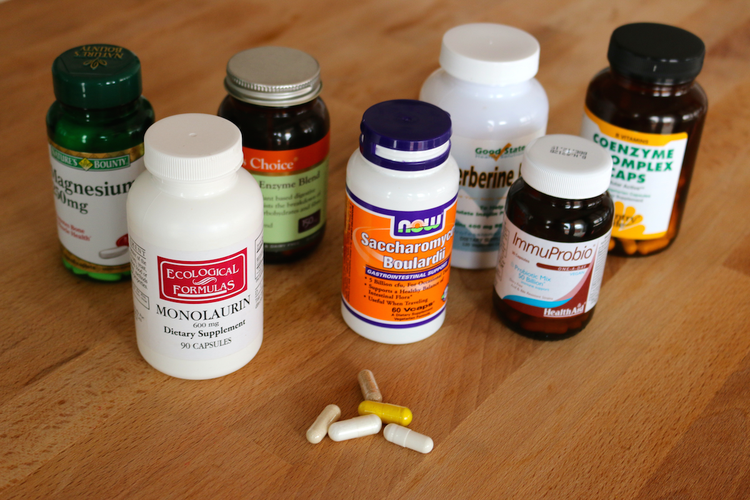 Health benefits of probiotics: are mixtures more effective than single strains?. European journal of nutrition, 50(1), 1-17. Guarner, F., & Schaafsma, G. J. (1998). Probiotics. International journal of food microbiology, 39(3), 237-238. Gibson, G. R., Rastall, R. A., & Fuller, R. (2003). The health benefits of probiotics and prebiotics. Gut flora, nutrition, immunity and health, 52-76. Guidelines for the Evaluation of Probiotics in Food, Report of a Joint FAO/WHO Working Group on Drafting Guidelines for the Evaluation of Probiotics in Food (PDF) (Report). London, Ontario, Canada: Food and Agriculture Organization and World Health Organization. April 2002.